Parking: Free (2) hour parking in the lot directly behind the building and (3) hour parking in the garage complex on Florence. Public Transport: Our offices are a 10-15 minute walk from the Caltrain, Downtown Palo Alto station. Walking: Take Lytton to Florence Street. We are located at the corner of Lytton and Florence. Caltrain schedule can be found here. From 280: Exit Sand Hill Road, follow signs for San Hill Road E, Merge onto Sand Hill Rd, Turn right onto Arboretum Rd, Turn left onto Palm Dr, Continue onto University Ave, take the first right after the underpass onto The Circle, Turn right onto Alma St, Turn right onto Lytton Ave, Turn right onto Florence St.
From 101: Exit University Ave, turn right onto Middlefield, turn left onto Lytton, turn left onto Florence. From 880: Exit Dumbarton Bridge, Merge onto CA-84 W, Use the left 2 lanes to turn left onto University Ave, Continue on University Ave, turn right onto Middlefield, turn left onto Lytton, turn left onto Florence. Located in the heart of downtown Palo Alto, the law firm of Computerlaw Group LLP resides in the historic white brick building on the corner of Florence and Lytton street. Like the Firm, this building has long and rich history. Built in 1903 it is a fine survival of early Palo Alto architectural and religious history. 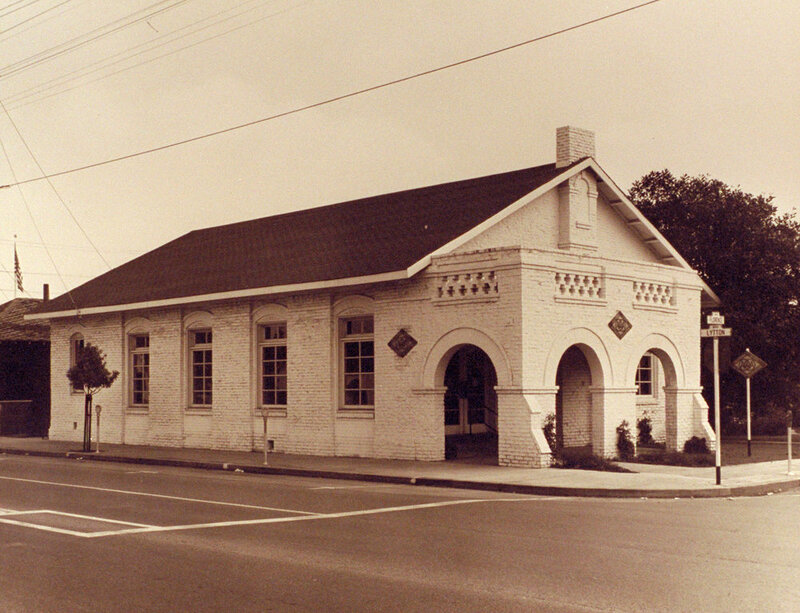 Its presence in the heart of the downtown commercial area, where few examples of early buildings now remain, is a special asset.It served as a congregation for First Christian Church building until 1919 and then was used as a church home by the Palo Alto Church of the Nazarene. The arched openings and brick detailing suggest a Romanesque architectural mode. It is an elegant building in style unusual to that found in the era in Palo Alto. The Historic Resources Board (HRB) has designated the building historic, classified it as Category 2, and listed in the Palo Alto Historical Resources Inventory.